Converts from GIF, JPG, PNG and BMP graphics files to JPG, PNG and BMP files. Allows single or multiple file conversion. Can convert to JPGs over a range of quality/compression values for optimization. Converted files displayed in your browser. Easy2Convert PNG to JPG PRO converts Portable Network Graphics files (. Easy2Convert PNG to JPG PRO converts Portable Network Graphics files (.png) to JPEG files (.jpg, .jpeg, .jpe, .jif) in a matter of seconds. You may perform a resize of the images or change their quality/size ratio. Using Easy2Convert PNG to JPG PRO, you can convert many png-files at once! Batch Word to PNG Converter is a batch converter that can convert Word DOC/DOCX formats to PNG (Portable Network Graphics). Easy2Convert RAW to PNG (raw2png) is a software for converting RAW Camera Image files to Portable Network Graphics files (. Easy2Convert RAW to PNG (raw2png) is a software for converting RAW Camera Image files to Portable Network Graphics files (.png). Imagicon is a graphics utility designed to convert multiple image files from BMP, JPG or PNG image formats into any of the following image formats (24-bit): BMP, JPG, PNG and ICO. Full instructions are included with the software. "professional Look at Net" is a portable network monitoring tools - net scanner, ports scanner and packets sniffer. Don't need third-party libraries, such as WinPCap, etc. The first Windows graphics application that makes it easy to create stunning animated MNG (Multiple-image Network Graphics) files. AyeView is a graphics image viewer converter and browser with image transformation functions. 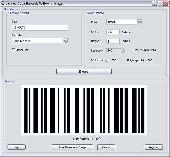 ConnectCode Imager allows you to generate professional barcode images that are highly scannable. It supports popular image formats like PNG, GIF, BMP, TIF and JPEG at various resolutions. The barcodes produced are very robust and compact. Insert one or many image files into a blank MS Excel file. Insert all pictures into one sheet or individual sheets per file. Reads and converts WSQ (FBI's Wavelet Scalar Quantization) and 31 other formats. Supports: WSQ, BMP, TIFF, PNG, JPEG, RGB, TGA, GIF, CEL, PSD, IFF, etc. WSQ chosen by FBI as the fingerprint image compression standard as superior to other formats. Screenshot Magic allows image capture from the following sources: Full Desktop, Active Window (full or contents only) and DirectX Fullscreen (games). Screenshot Magic can save images in the following formats (24-bit): BMP, JPG and PNG. Optimize your images for the web with your own JPG, GIF, PNG settings and see the changes in real time. The library allows to parse string as a mathematical formula and draws 2D and 3D charts. ELMathSolver.NET is very simple and elegant in using. You can use library in your projects written in C#, VB.NET or ASP.NET.